The Euro - Description | W. W. Norton & Company Ltd. Territory Rights: Worldwide including Canada, Singapore and Malaysia, but excluding the British Commonwealth. In The Euro, Nobel Prize–winning economist and best-selling author Joseph E. Stiglitz dismantles the prevailing consensus around what ails Europe, demolishing the champions of austerity while offering a series of plans that can rescue the continent—and the world—from further devastation. Hailed by its architects as a lever that would bring Europe together and promote prosperity, the euro has done the opposite. As Stiglitz persuasively argues, the crises revealed the shortcomings of the euro. Europe’s stagnation and bleak outlook are a direct result of the fundamental challenges in having a diverse group of countries share a common currency—the euro was flawed at birth, with economic integration outpacing political integration. Stiglitz shows how the current structure promotes divergence rather than convergence. The question then is: Can the euro be saved? 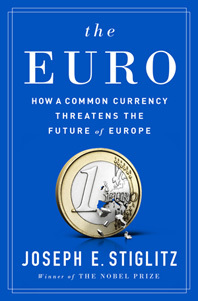 With its lessons for globalization in a world economy ever more deeply connected, The Euro is urgent and essential reading. In the face of rising inequality in America, Joseph E. Stiglitzcharts a path toward real recovery and a more equal society. The long awaited revision of a classic text by an expert author team.